Bentley's trip into the sports utility vehicle (SUV) market is finally taking shape after full details of the impressive Bentayga SUV were outed. Under the bonnet the beast boasts a twin turbocharged W12 six-litre engine that possesses an eight-speed automatic gearbox and produces 600bhp (447kW) plus 900 Nm of torque, something that will satisfy even the most power hungry of consumers. Arguably where this vehicle really comes into its own is through the on-board tech. Switching between on- and off-road driving has never been easier with a range of settings that can be tailored to the conditions on the outside. It does this by using real-time information about both the car and the terrain. Everything, including navigational information and speed changes, are shown on a heads-up display projected onto the windscreen to improve driver concentration and another on the safety list is infra-red night vision that alerts the driver to hazards further along the journey. No more hitting deer for this here Bentley. 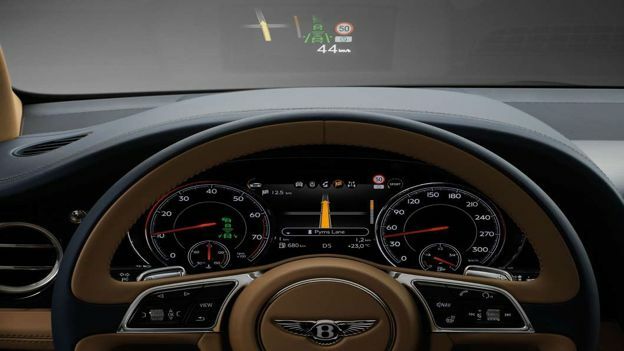 For onboard infotainment you get an 8-inch touchscreen that is supplemented by a 60GB hard drive and passengers in the back can take advantage of a removable Android-based Bentley Entertainment Tablet that has 4G, Wi-Fi and Bluetooth connectivity. If that wasn't enough, it also has three different sound options that top out with a 'network' of 18 speakers and super-tweeters rated at 1,950W. The interior boasts the luxuries that Bentley owners have come to expect and upon its release in Q1 2016 it will have a price tag of £162,500 ($229,100).